Skin Care Cassette Dispenser offers quick, easy maintenance. Kimcare Cassette Skin Care System offers easy, no-fuss refill loading, and flexibility to refill with any Kimcare Cassette Skin Care foam or liquid formula. 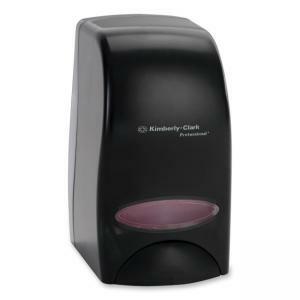 Dispenser holds a fresh pump with each 1000 mL refill for greater hygiene and is compatible with the universal mounting brackets.